I remember the first time I saw someone pick up a new Bible translation and analyze it by turning to key passages. When I asked them what they were doing, they explained the process to me. It was simple enough. They had a short list of verses they considered to be problematic for translators, and they were curious as to how the particular editorial team had dealt with them. I have read enough biographies on C.S. Lewis that I now have specific passages I look to in a similar way. This is not to say that Lewis or his biographers are inspired, but there are a few controversial passages from Lewis’s life that provide a helpful starting point in reviewing a new biography. While most of C. S. Lewis’s adulthood was spent as a bachelor, the three disputed life passages I will examine from McGrath’s biography surprisingly all relate to women. Janie Moore: While serving in World War I, Lewis made a commitment to his fellow soldier “Paddy” Moore. They vowed that if anything should happen to the other, the surviving party would care for the family of the fallen. Both men were wounded, but Paddy fatally so. And Lewis, though not yet a Christian, was true to his word. He took care of Paddy’s sister Maureen and his mother for most of his adult life. Controversy surrounds Lewis’s relationship with Paddy’s mom, Janie, whom Lewis nicknamed “Minto.” This is evidenced by the fact that one of Lewis’s former students, and one of his most respected biographers, George Sayer, has changed his mind regarding the nature of Lewis and Minto’s relationship. His earlier work Jack, published in 1988, denied claims that they were intimate, but he later revised the introduction to the book and accepted the suggestion that their initial relationship was of a “complex” nature (75). McGrath accepts this hypothesis. He adds his own speculation that Minto provided both a “mother” and “maid” role in Lewis’s life, suggesting that this longing is voiced in the poem “Reason” written by Lewis in the early 1920s. McGrath demonstrates that this complex relationship actually developed in 1917 before Lewis left for war, based on Lewis’s personal journal entries. Though McGrath believes that they were initially romantic, like some other biographers, he demonstrates that it was not long before their relationship evolved into a strictly domestic one. G. E. M. Anscombe: Many writers credit Elizabeth Anscombe for wiping the floor with Lewis’s book Miracles at a debate at the Socratic Club in 1948. George Sayer describes the event as a “humiliating experience” for Lewis, stating that he would never write a “book of that sort” again. While McGrath relies heavily upon Sayer’s understanding of Lewis and Mrs. Moore’s relationship, he arrives at a different position regarding the outcome of the debate with Anscombe. McGrath acknowledges Anscombe’s victory in the debate, but reminds the reader that she agreed with Lewis’s conclusion. Like Lewis, she believed naturalism to be untenable. She challenged however the soundness of his argument. McGrath also emphasizes Lewis’s familiarity with receiving academic criticism. After all, Lewis spent his free time with such accomplished critics as Charles Williams and J. R. R. Tolkien. McGrath says the Inklings were “primarily concerned with the testing and improvement” of each other’s writings, thus illustrating that Lewis was no stranger to debate and searching criticism (328). The important aspect of the debate is how it seemed to influence Lewis in his subsequent publications. Though there is a distinct transition from this point forward regarding Lewis’s increased output in fiction, one cannot attribute it solely to the night at the Socratic. Lewis refined and republished Miracles in 1960, his argument and conclusion nuanced, but substantively unaltered. McGrath points out helpfully that Lewis utilized a similar line of reason in later essays like “Is Theism Important” and “On Obstinacy in Belief ” (255). Though the apologist may have been temporarily knocked back, he was not destroyed, as some have thought. Helen Joy Davidman: McGrath gives an insightful description of the relationship Lewis shared with the American author Helen Joy Davidman. While some authors focus on the romantic side of their relationship, McGrath examines Joy’s reliance upon Lewis for financial stability and her eventual conniving that resulted in a civil marriage and the relocation of her and her boys to the Kilns. Yet, with all of her scheming, McGrath credits Joy as the “midwife to three of Lewis’s late books” (328). McGrath demonstrates that Lewis and Davidman’s civil marriage was not the result of romantic feelings on Lewis’s part. Particularly through the use of Lewis’s correspondence, McGrath shows that Lewis continued to nurture female friendships after his social contract with Joy, specifically with long-time friend Ruth Pitter. He even invited Ruth, instead of Joy, to attend a royal garden party at Buckingham Palace. When Pitter could not join him, Lewis went alone (332). Lewis’s brother Warnie worried that Joy would, in time, demand more. And so she did. McGrath calls Lewis’s civil marriage with Joy a “Trojan horse” (332). Joy eventually insisted on her marital rights, moved into the Kilns, and began redecorating. She even insisted that Maureen Moore, now married, defer her legal right to the house so that it could be willed to Joy’s two sons (333). Maureen refused. Though one biographer, A. N. Wilson, suggests Lewis patterned the White Witch of Narnia after G. E.M. Anscombe, Joy was turning out to be a better candidate, at least according to McGrath. But things soon changed. C. S. Lewis fell in love with Joy the day she was diagnosed with terminal cancer. At least this is the nearly unanimous opinion among Lewis scholars. In contrast to other treatments, however, McGrath focuses not on the romance but on Joy’s positive impact on Lewis’s later publications. Joy played a similar supportive role to her former husband, Bill Gresham, an American screenwriter. She now “brought her skills to bear on Lewis” and served as a “midwife” to Lewis’s Till We Have Faces, Reflections on the Psalms, and The Four Loves (.328). This is an often undervalued aspect of their relationship. Biographers regularly focus, as in the movie Shadowlands, on the love story. McGrath rightly brings out Joy’s influence on Lewis’s published work. Readers who desire to see the depth to which Lewis loved Joy need look no further than Lewis’s A Grief Observed. Beyond bringing his own insights into difficult passages in Lewis’s life, McGrath’s work deals with newer developments in Lewis scholarship. He is able to deal with, for instance, Michael Ward’s 2010 book The Narnia Code, which offers an interpretative theme for Lewis’s Narnia series based on Lewis’s alleged use of the seven medieval planets. Though scholars are uncertain of the significance of this discovery, there is a great deal of support for Ward’s theory. McGrath incorporates this development into his consideration of Narnia, to which he devotes a lengthy section of the book. C. S. Lewis: A Life is the first major biography able to consider the majority of Lewis’s published correspondence, not available in print in their entirety until 2006. McGrath read all of Lewis’s letters and publications chronologically in preparation for writing the biography. This possibly explains McGrath’s unique opinion regarding what he perceives to be the correct date for Lewis’s conversion to Christianity, arguing that even Lewis’s recollection of the date was incorrect. So much has been written about Lewis that anytime a new work comes out, there must be something of a collective sigh among scholars. What more can be said? Are there really any stones left unturned in Lewis’s life? Perhaps the best way to answer such questions is by considering the similarities between the two men’s life experiences. Both Lewis and McGrath were born in Belfast. McGrath actually attended the same school as Lewis’s mother Florence. Lewis and McGrath were both graduates and later became dons of Oxford University. They were both atheists in their younger days and converted to Christianity at Oxford. And both used their public platforms to commend and defend the Christian faith. Thus, McGrath provides a fresh insight into the man about whom so much is written. As one who teaches courses on the life, writings, and inf luence of C. S. Lewis, I would not say McGrath’s work, as excellent as it is, is the definitive resource. I still prefer Walter Hooper’s C. S. Lewis: A Complete Guide to His Life and Works because of his detailed summaries and reviews of the Lewis corpus, which provide a more insightful analysis of Lewis’s intellectual and literary development. McGrath’s volume, however, is a necessary addition to the library of any serious student of C. S. Lewis. I would also recommend it as a great place to start for anyone just beginning to study the life of the “Apostle to the Skeptics,” to borrow the title used by Lewis’s first biographer, Chad Walsh. McGrath’s edition is timely, published in early 2013, the semicentennial anniversary of Lewis’s death in 1963. The publication also anticipates the posthumous achievement of one of Lewis’s earliest scholarly ambitions. Lewis’s aspiration as a poet will be realized in November 2013 when he will join the company of literary giants like Shakespeare and Chaucer as he is commemorated at the Poet’s Corner of the historic Westminster Abbey in London, England. For this reason, among many others, McGrath’s biography is not only timely, but I believe will also prove to be timeless. 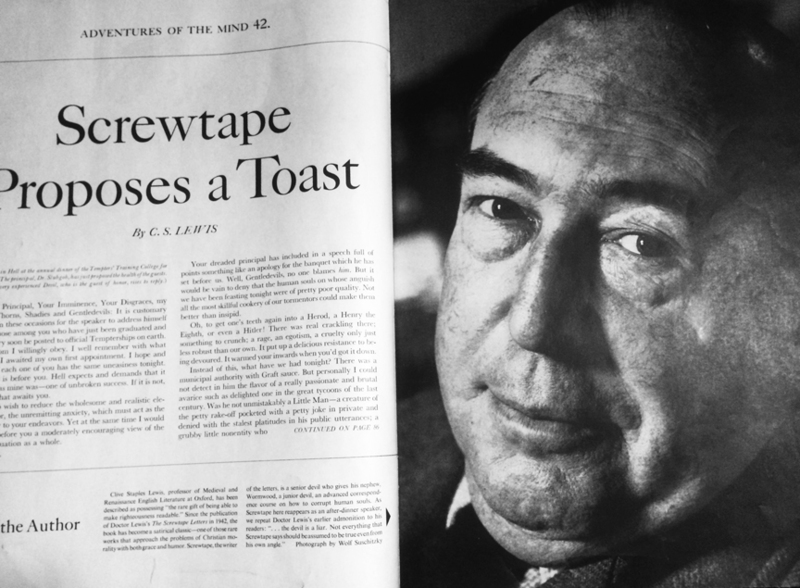 C. S. Lewis—A Life: Eccentric Genius, Reluctant Prophet. By Alister McGrath. Carol Stream, IL: Tyndale House, 2013, 431 pp., $24.99 cloth. This post is taken from my: Review of C. S. Lewis- A Life: Eccentric Genius, Reluctant Prophet, by Alister McGrath, The Southern Baptist Journal of Theology 17.1 (2013): 59-61. Published with permission.